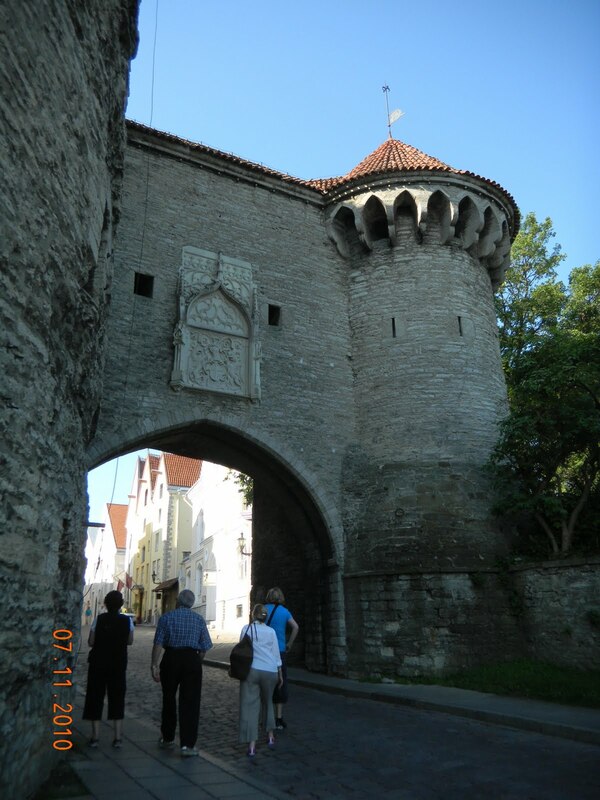 This is one of the entrances to the walled city of Tallin. 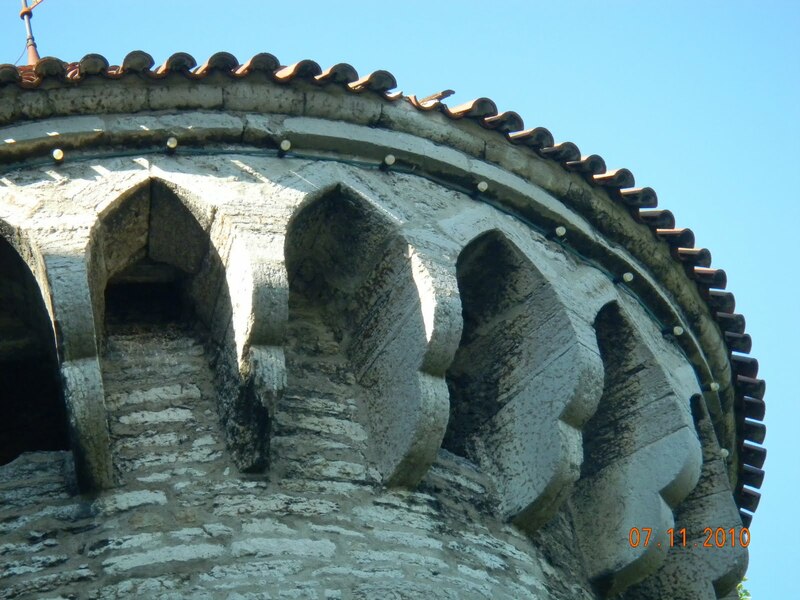 It is amazing to see structures like these that were built in the Middle Ages and are still standing today. They have a lot of architectural interest that I can imagine translated into textural features in knitting. 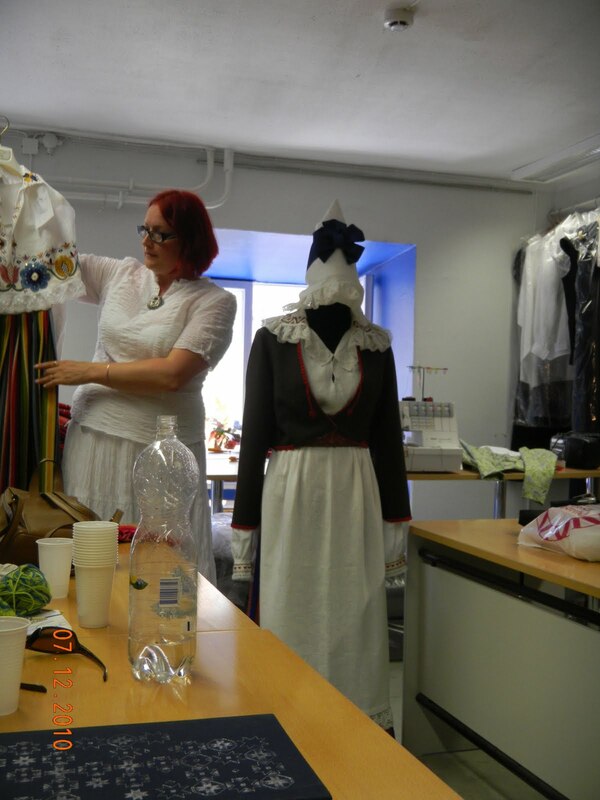 The Estonian women have an organized handcrafter’s guild. They work to preserve their national heritage in textiles and all types of hand crafts. There are different levels of proficiency in each craft, whether it is sewing, embroidery, knitting, or any type of handcraft. We attended a presentation at one of these Cooperatives. Not only do the women make all of the items there, they actually run the business and work there selling their goods. The coat in the photo here demonstrates a great deal of detail in the braiding. I used this detail as the inspiration for one of the classes onboard– check out the slipper on my left foot . The blouse, skirt and vest in this photo comprise the National Uniform for a young woman. These are worn by all people at national holidays or other days of national importance. 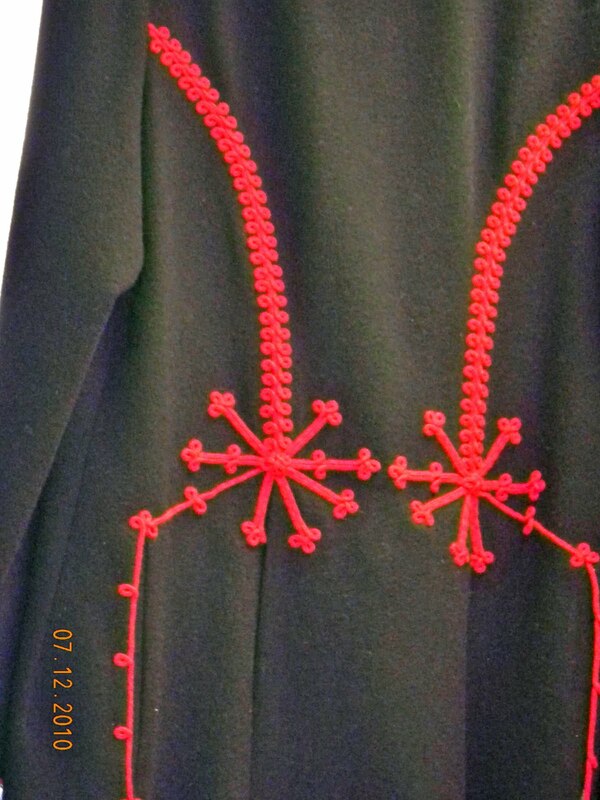 The close up shows the detail of the embroidery on this blouse. There was a young woman there embroidering as we attended our presentation. 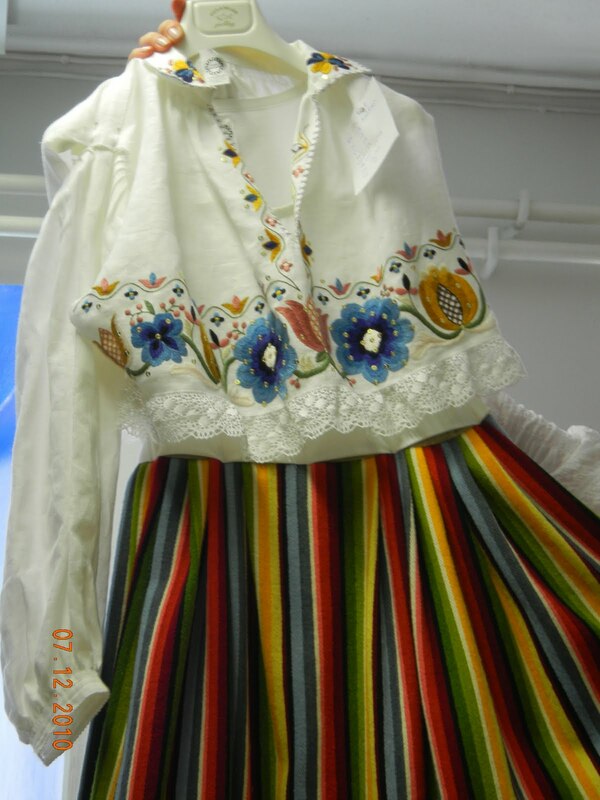 She said that it would take her about a week to embroider a blouse like this. We watched her, she was very fast. There were two different stores operated by this Cooperative. 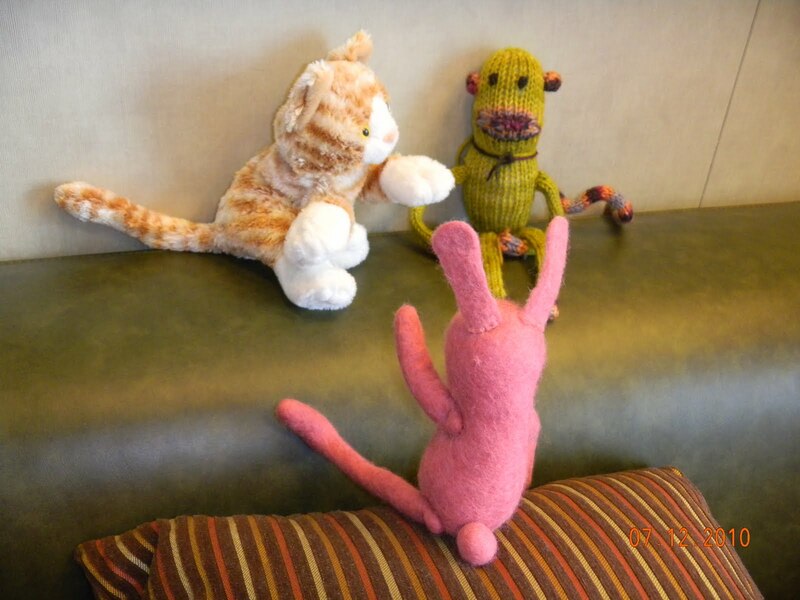 The pink creature below, creatively named “Rabbit”, joined up with Cat and Monkey. 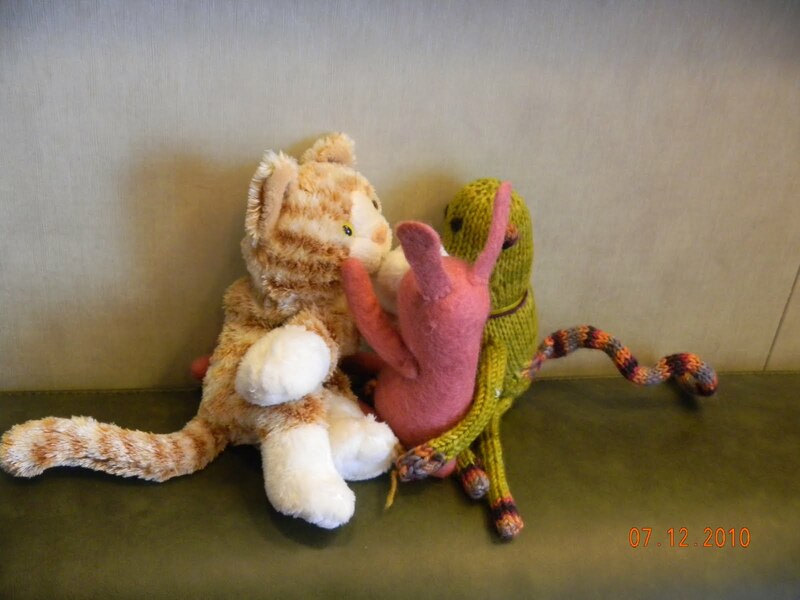 They became fast friends for the rest of the trip. Rabbit is felted and he is quite a work of art. His limbs are all articulated and his detail is amazing. He hangs out amongst my yarn to this very day.